Patricia Peat is a registered nurse who spent years in oncology delivering chemotherapy. Her patients were going through a frightening and challenging experience but what was most distressing, many told her, was feeling they had no control over their treatment. So she left to investigate what else was possible and she set up an agency dedicated to help patients take more control. Now, nearly 20 years later, she has finally found a clinic that is getting astounding results with a metabolic approach that insists patients work in close partnership with their doctors. Her patients in the chemotherapy ward were made all too aware of their impotence. If they asked what they could do to help with their recovery they would be told the best thing was to follow the treatment program. ‘The sense of disempowerment was palpable’ Peat writes on her website CancerOptions, a private cancer consultancy she set up in 2000. It provides ‘reliable, up-to-date information about the latest and best approaches to the treatment and management of their illness so they could take charge’. Telling people about non-mainstream approaches to cancer guarantees attacks for practising quackery and encouraging false hope but recently her uphill struggle hasn’t felt quite so steep. What’s been making a difference is the enthusiasm and research interest being generated by the ketogenic diet and the metabolic theory of cancer. For background see the two previous posts of this site. Also see this just published detailed academic paper on the metabolic theory. Although the metabolic approach, which targets a cancer’s energy supply, now looks like being able to give cancer patients just the kind of combination of mainstream and other treatments that Peat was looking for over 20 years ago, she was sceptical at first. But a recent trip to a metabolic cancer clinic in Istanbul has turned her into an enthusiastic convert. This is why. How to cut the chemotherapy dose in half and get better results. When I first heard about the low carb ketogenic diet about five years ago, it seemed to run contrary to everything I understood about a healthy cancer-fighting diet. That had to include lots of fresh fruit and vegetables and juicing to pack the nutrients in. I saw it as a new twist on the Atkins, that replaced carbs with large amounts of fat plus protein. How were patients going to get the nutrients they obviously needed? And the Atkins diet was known for weight loss. That was a non-no for cancer patients. But the more I read about it – in books such as Professor Thomas Seyfried’s account of his remarkable and painstaking animal work at Boston University and talked to dieticians like Patricia Daley in Ireland who was an early adopter and was getting impressive results, the more I saw it made a lot of sense. Then the clinicians who I talk to around the world began telling me that it was a ‘must’; the foundation of any treatment. I could see low carbs made sense but I was still worried about getting enough nutrients. That all changed a few months ago when I went to Istanbul to visit the Chemothermia Clinic. Set in the business centre in a modern block, the space you walk into is large, bright and serene. The decor, I discovered later, was the work of the wife of one of the doctors, who had done a great job. The clinic has fine-tuned the art of metabolically supported chemotherapy to achieve everything this approach has long promised. Led by Professor Bulent Berkarda M.D. who was the first medical oncologist to practice medicine in Turkey, he heads a brilliant team of brother and sister Abdul Kadir and Ayshe Slocum and Asst. Prof. Mehmet Salih İyikesici. They have developed a metabolically supported chemotherapy treatment programme that delivers on every level. In various cancers they are getting a response to treatment that traditional methods rarely achieve – massive tumour loads shrinking away. A 33 year old with a large fungating (becomes like a fungus) breast tumour 12 cms in diameter, tumour completely shrank and the wound healed. A 48 year old lady with stage 4 breast cancer and multiple sites where it had metastasised had complete remission. A 55 year old male with Non-Small Cell Lung Cancer, stage 4, remission. Everybody I met at the clinic looked well both physically and emotionally, I would have been hard pressed to match the stage of cancer to the patient. There was an atmosphere of calm confidence, every patient is seen daily by their oncologist and treatment adjusted if necessary. The value of the therapeutic relationship is much in evidence; there is a sense of true team work between doctor and patient. Patients in remission know that sticking to the diet and supplements at home is an important part of staying that way. There was a widespread feeling that success is highly likely, which changes everything. The doctors aren’t giving chemotherapy and hoping it works; they are working with the whole person and making sure it works. Like proud fathers showing photographs of their children, they would hand round their mobiles with photos of their successful patients. They are modest pioneers who have combined metabolic theory with mainstream practice and absolutely nailed it. This is the metabolic theory in the real world which shows it has the potential transform oncology. There nothing new in the packages that the patients follow. The aim is to first metabolically disable the cancer cells in ways that are available in an increasing number of European and American clinics, such as an hour’s hyperthermia (heat) treatment plus hyperbaric oxygen (delivered under raised pressure in a chamber). This is combined with high dose intravenous vitamins and minerals to boost the immune system. The standard medical element involves the infusion of regular chemotherapy but before that the patients fast for 18 hours. They also get drugs known as ‘glycolysis inhibitors’ which reduce the amount of glucose cells can absorb, along with insulin which lowers the amount of glucose in the blood. The evidence that these treatments can weaken tumours is that the chemotherapy can be given at 40% of the dosage used in regular medical centres. Even at this greatly reduced dose, higher levels of the chemotherapy are found in the tumours than is normally possible with a full dose. This regime benefits the patients in two ways: tumour shrinkage is greater and side effects are much reduced. These remarkable results don’t involve new targeted therapies, or immunotherapies. They are achieved by using the older cheap chemotherapies that have been in practice for years. The difference is the way the cancer cells are softened up in advance. Patients continue being treated in this way after their cancer has gone into remission. This is only possible because the regime is much less harsh than normal. So are we likely to see anything like this in the UK anytime soon? Well the oncology mainstream hasn’t yet got to the point of acknowledging the effect of glucose on cancer despite the multitude of studies showing that drugs such as metformin, which lower levels in the blood, have a beneficial effect. Official advice is to eat what you want and avoid the ketogenic diet which could be dangerous. But as well as denying the glucose connection there is another cornerstone of the mainstream model that makes it even harder for oncologists to embrace the metabolic approach. While conventional oncology concentrates heavily on gene changes and largely ignores what is happening with neighbouring cells as a rogue cell turns malignant, the metabolic approach starts from the idea that a tumour does not exist in isolation. Instead in order to survive and thrive, it has to change its environment as it grows to make it more favourable. Essentially what cancer cells need are much more glucose than normal and less oxygen. So treatments that lower glucose and push up oxygen with hyperbaric oxygen chambers make sense. However the linear reductionist way oncology has developed makes it hard for the doctors to incorporate additional techniques. Dosages used in clinical trials are set as the gold standard and the pressure to follow protocols leaves little room trying new approaches. And there is a vicious circle around the crucial issue of evidence. Because of the lack of interest in non-drug approaches, getting funding to test them is hard. But without trial results the mainstream can dismiss them as evidence-free. So the standard approach ignores promising ways to disable cancers and continues relying on targeting genes. Unfortunately this plays to cancer’s greatest strength. It is the ultimate shape shifter, able to evolve and change to evade its attackers. Cancer cells literally shed the receptors that are the targeted by the drugs, rendering them ineffective. See Nature article The Precision Oncology Illusion. A similar failure, for quite a different reason, may lie in wait for the latest generation of wonder drugs that work by stimulating the immune system, one of our natural defences against cancer, to make it attack more vigorously. To work well, however, they need a healthy immune system but chemotherapy severely weakens the immune system and UK oncologists regard supporting it with the metabolic methods used at Chemothermia a waste of time and money. For years the integrative clinics in Europe have supported the immune system, and attacked the cancer by using similar treatments to those given at Chemothermia. But my experience is that they haven’t worked nearly as well as they should have done. Why? Some people certainly achieved more that they would in the UK, but there wasn’t the same consistency of response that is found in the Istanbul clinic. I think this is because they don’t have the ability to apply the treatments intensely yet also in an informed and flexible way. One reason for this could be that the doctors who run them are not oncologists with a great knowledge of cancer, unlike those at Chemothermia. The result is that the chemotherapy is frequently given at too low, rather than too high, a dose. Patients certainly benefit from the greater degree of individual attention and metabolic support than they’d get in in mainstream UK hospitals but, with notable exceptions, the clinics don’t achieve the long term remission that patients have been lead to expect in return for the considerable emotional and financial costs. That’s bad enough for individual patients but there is a wider problem. If the metabolic approach is going to get serious medical attention it has to produce scientifically credible results. That starts with collecting data on patients in a consistent and systematic way. These clinics aren’t doing that. Even if they were, there is still the problem of how best to gather evidence. The conventional approach of testing the effect of a drug on its own doesn’t fit with the metabolic approach which applies a variety of treatments at the same time. Testing this in a large scale, very expensive RCT is essentially impossible so it is dismissed as unscientific. But that doesn’t have to be fatal. Despite reservations by dietitians the ketogenic diet is very safe. There are good reasons why it should be effective as an adjuvant treatment, improving the effectiveness of chemotherapy and reducing its side effects as Chemothermia and other America clinics have reported. It is precisely the sort of thing patients were asking for 20 years ago, the fact they are still being denied the chance to try it is a tragedy. Thank you, Jerome and Patricia. It’s so encouraging to see what might be achieved with an integrated approach. I have used a ketogenic diet with my nutritional therapy clients for several years now, knowing that it is safe and may have the potential to improve outcomes. I find it deeply frustrating that our dedicated, hard working cancer specialists continue to believe that their cancer patients should just sit back and allow themselves to be treated and not get actively involved in the outcome. Simple psychology would contradict that approach. I look forward to the day when we can all work together and pool our knowledge to beat this. I’m celebrating twenty years of surviving grade 3, stage 3 breast cancer this year and, these days, my biggest worries are the long term impact on my systems of high dose chemo and radiotherapy burns. It would be wonderful to reduce these risks too. Over the recent years, researchers were able to bring forward many data which made certain individuals consider that marijuana can be successfully used towards medical purposes. The variety of studies carried out could stand as the ultimate proof that indeed people can take advantage of what this plant consists of, such as cannabinoids. But could all this propaganda represent a scam? Anecdotally I know/knew several people whose leukemia went into remission on a LCHF diet, ketogenic or not. One died of an unrelated cancer, but only after exceeding his doctor’s best estimate for survival by a couple of years. Meanwhile what happens to the patients who are too ill from the cancer or the chemo to eat their dietician-approved high carb low fat hospital food? They are fed Ensure. Kind of like giving chemotherapy and antichemotherapy at the same time. Thank you Chris that is a paradox so often highlighted by people recieving cancer treatment. it is of enormous frustration to them that any attempts to support themselves nutritionally are ignored. The amount of science coming through on the importance of the extracellular environment and its effect on cancer is growing so fast it cant be ignored forever. Hi Patricia. My husband and I are researching the ketagenic diet and the work being done in Turkey in relation to his stage 4 osophageal cancer. You mention at the start of your article your intial concerns about the ketagenic diet being a weight loss diet which doesn’t work with chemo treatment. What convince you that it was ok for those receiving chemo? This is one of the main issues we’re struggling to understand as weight loss is a big issue. Have asked Patricia to come back to you on this but i know she is very busy. In the meantime you might try a charity called Mathew’s Friend which is about use of the ketogenic diet to help children with severe epilepsy. It has dietitians who help parents to deliver the diet but they have also become familiar with its use in cancer. They don’t specifically advocate it but they have helped people who want to use it.You can it on the web. Raewyn, you might find this useful. A medical oncologist explains the difference between ‘healthy’ weight loss and the sort of weight loss that might be experienced in cancer (At about 25 minutes in). 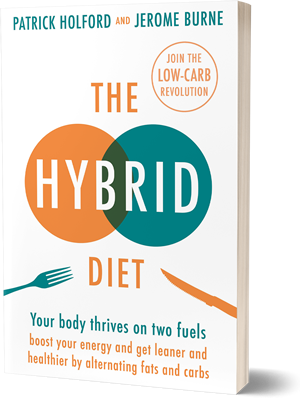 It also contains a lot of interesting ideas about the ketogenic diet. https://www.youtube.com/watch?v=8RvByLXyoYk&t=10s Good luck with your search. Hi, are there any UK practitioners who will help cancer patients follow the MSCT protocol, specifically giving chemo? tomography” which i don’t think is what you want. Hello Maggie, I am a bit confused as to what you are referring to as well, if you could clarify please. Maggie, I have helped clients with intermittent fasting during chemo and radiotherapy. It is always important to keep your medical support team up to date with any complementary therapies you plan to follow during treatment. Thanks for the link Dawn. The paper it leads to is very impressive case history of the successful treatment of a woman with advanced triple negative breast cancer with the ketogenic diet plus hyperthermia and hyperbaric oxygen therapy both of which affect the metabolic pathways that activated by the diet. One of the authors is Miriam Kalamian, an American nutritional therapist, who helps cancer patients wanting to follow the diet. Her book Keto for Cancer, just published in the UK, is an excellent and detailed account of what the diet is doing and how to follow it and, just as important, when it might not be suitable. Great thank you Dawn. I reviewed this woman’s case when I was there. another example of a significant result which would not have been achieved here by combining chemotherapy with this metabolic approach. Really sorry but I don’t have any information about that. You could try a small charity devoted to providing information about non-drug and supportive appraoches to cancer called Yes to Life. They have a very well trained help line (I am one of the directors) which might be able to help or be able to put you in touch with someone. Details and links are available on the web. Hello George, we didn’t discuss mesothelioma while I was there and it wasn’t in any of the case studies I reviewed. I find generally it responds well to holistic and detox methods so most practitioners would be able to offer some value. Worth as well checking out Prof Thomas Vogl at University of Frankfurt hospital, he has some cutting edge treatments for this. Hello. This is fascinating, thank you. My mum was treated for triple negative (grade 3 stage 3) breastcancer in 2012 with the standard chemo/ surgery/ radio treatment. However, she has just been diagnosed with grade 3, stage 4 breast cancer as it is back and now spread to her lung. We are also looking for treatment options with proven results (the nhs is simply looking at control not cure with chemo alone). Any advice would be amazing. Thank you. Thank you! Do you have contact details you could send me please? Thank God the medicine industry is growing fast because chemotherapy is awful. So much pain and 70% of the time is not even working. I have a diagnosis of triple negative grade 3 stage 4 although organs and bones are clear. Looking for private treatment options. I have changed diet to vegan, and taking nutritional supplements. If you are looking for advice and information about non-conventional treatments one option would be to contact a charity called Yes To Life (conflict of interest: I am one of the trustees) which has a helpline and can put you in touch with a one-time chemotherapy nurse who is now very well informed about the integrated medicine appraoch (combining mainstream with non-drug complementary treatments) and can help you put together a package that suits your needs/preferences. If you are looking for private conventional treatment – drugs, chemotherapy. rediotherapy – start with clinics in Harley Street. Hi Patricia and all at HI UK. I am seeing a doctor related to Chemorthermia, today, in London. This article is very helpful in confirming that this is a clinic to be taken seriously. Thanks for doing the ‘leg work’. I am looking for nutritionist support in the UK (or Greece where I aslo live part of the year).